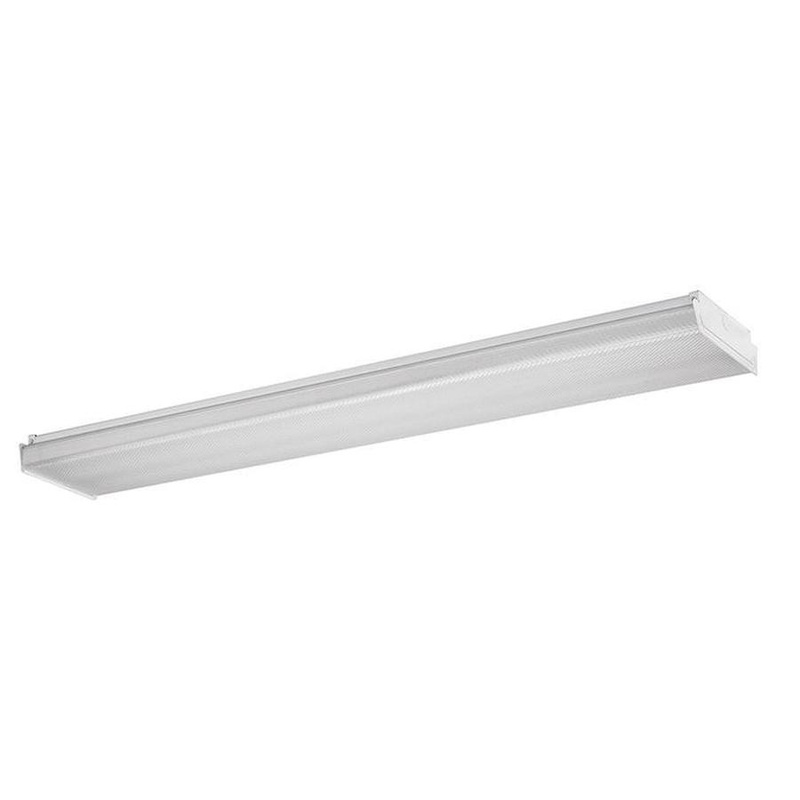 Philips Lighting Daybrite OWL Series Collection LED Wrap-around features heavy gauge cold-rolled steel construction with high reflectance baked white enamel finish. This dimmable LED Wrap-around in rectangular shape, uses 37-Watt lamp that has voltage rating of 120 - 277-Volts. Lamp in the LED Wrap-around has color rendering index of 80 CRI and color temperature rating of 4000K to ensure optimal light level in the surrounding. It offers average life of 50000 hours and offers 4000-Lumens of bright light output. Wrap-around comes with a driver that uses 0 - 10-Volt control signals to control dimming functions. It measures 48-Inch x 8-Inch x 2-11/16-Inch. It features fully enclosed wiring and LED diodes. This surface/suspended mountable LED wraparound is ideal for manufacturing, office, banks and hospitality. It withstands temperature rating of -20 to 25 deg C. LED Wrap-around is cETLus listed, DLC certified and RoHS compliant.